Redefine clean with this Hoover handheld vacuum. 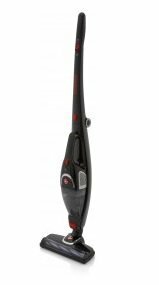 The unique range of functions of this featherweight vacuum will complement the capabilities of your large vacuum. It is battery powered, which enables easily maneuvering around furniture and hard-to-reach spots without any restricting cords. This is a bagless vacuum, so it doesn't require replacement bags. The Hoover Heritage 5210 Vacuum was added to the Vacuums category in June 2016. The lowest price GetPrice has found for the Hoover Heritage 5210 Vacuum in Australia is $169.00 from Billy Guyatts. Other merchants who stock it are Billy Guyatts, Godfreys.